Did it all become too much for Desna? 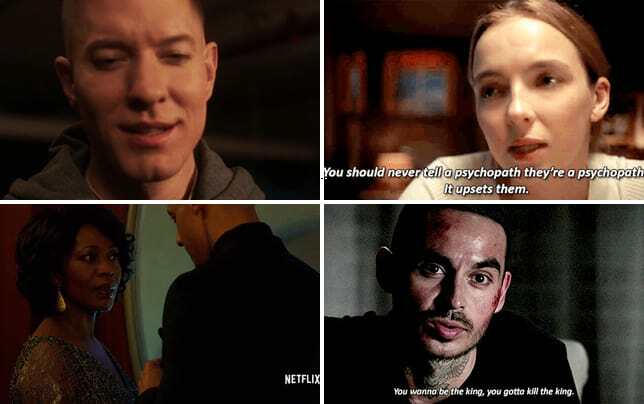 That was revealed on Claws Season 2 Episode 8 when she realized that it was getting deadlier by the day to conduct her business. In turn, she had to make a deal with the Russian devil that is Zlata, but that also meant she had to turn her back on an ally. Meanwhile, Uncle Daddy pressed forward with a plan to take back what was taken from him. 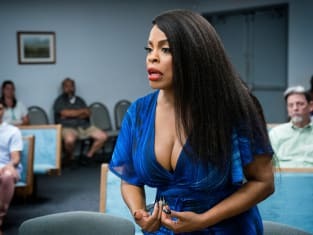 Use the video above to watch Claws online right here via TV Fanatic. Get caught up on all the latest action right now. Desna [to Lucy]: I'm not going down for nothing because I didn't do nothing. Arlene: Poke the bear. That's a smart idea. Permalink: Poke the bear. That's a smart idea. Virginia: Dean, are you sure [Desna] was arrested? Dean: Absolutely positive. I know what an unmarked police car looks like. I watch SVU. Permalink: Absolutely positive. I know what an unmarked police car looks like. I watch SVU.